This is the story of a man who was a writer. He cared about language, and he cared about people. He didn’t want to be famous or popular – he just wanted to write books. But he became both. From among the many serious writers of our time, he became for a great many people, here and throughout the world, the one writer who counted, the one who touched them. He made words sing, and he made people laugh and cry. He also made them think – about loneliness, self-deception, and injustice. And in all that he wrote, he testified to his belief that everything that lives is holy. 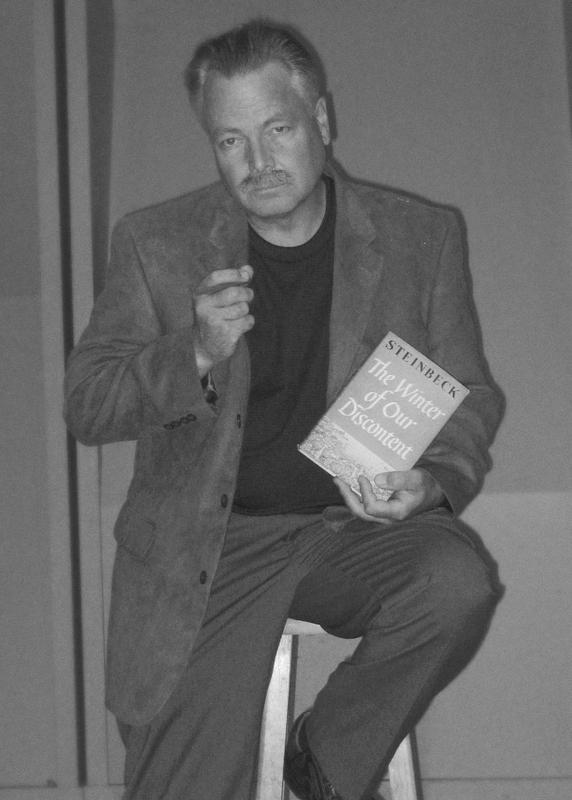 Clay has been portraying Steinbeck now for years, and your experience will begin with the chance to sit down with the reclusive author to discuss his life and work. You’ll also dine in Steinbeck’s boyhood home, and you’ll visit his beloved Point Lobos south of Carmel Bay. You’ll see Rocinante, the truck and camper that took Steinbeck and his poodle Charley around the country in 1960 in their effort to “rediscover America,” and you’ll climb to the top of Fremont’s Peak to stand on the very spot where Steinbeck saw his country for the final time. 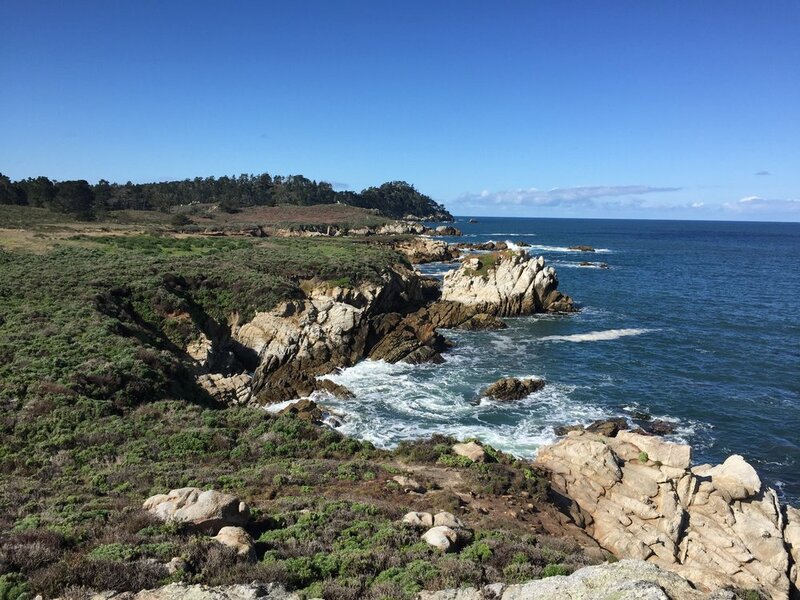 Other highlights include a visit to Ed Ricketts’ Lab on Cannery Row, one of the nation’s great literary landmarks, a visit to the Monterey Bay Aquarium, and the chance to explore the tide pools near Point Pinos Lighthouse where Steinbeck and Ricketts worked and played, discussing and developing their philosophy of the interconnectedness of life, the futility of man’s attempts to deny the dynamics of nature, and the way in which groups in the natural world have “purpose” that eludes the understanding of their individual members. Clay believes that coming to terms with Steinbeck’s California landscapes requires a significant encounter with his prose, his powers of description, his imagination, his political and social concerns, and his capacity to create narrative. Each day Clay will lead daily discussions of some of Steinbeck’s finest works, and then we’ll venture out to explore Steinbeck’s world. In the evenings we’ll sit by a fire, sip the great wines of Monterey County, and watch central California’s amazing sunsets from the tip of the Monterey Peninsula. And throughout the week you’ll have first class accommodations, some amazing meals at outstanding restaurants, and lots of other encounters with Steinbeck’s world. A trip, a safari an exploration, is an entity, different from all other journeys. It has personality, temperament, individuality, uniqueness. A journey is a person in itself; no two are alike. Welcome to the beginning of this journey, and welcome to Steinbeck Country. Just fly into Monterey International Airport, and we’ll be waiting for you. We’ll promptly deliver you and your luggage to our host hotel, the beautiful The InterContinentall The Clement on Monterey Bay, and the afternoon will be yours to get settled, to explore the famous Monterey waterfront, and to begin getting to know your fellow guests. After dinner we’ll gather for a Welcome Reception, a short orientation and book exchange, and then a rare “appearance” by the normally reclusive Steinbeck. 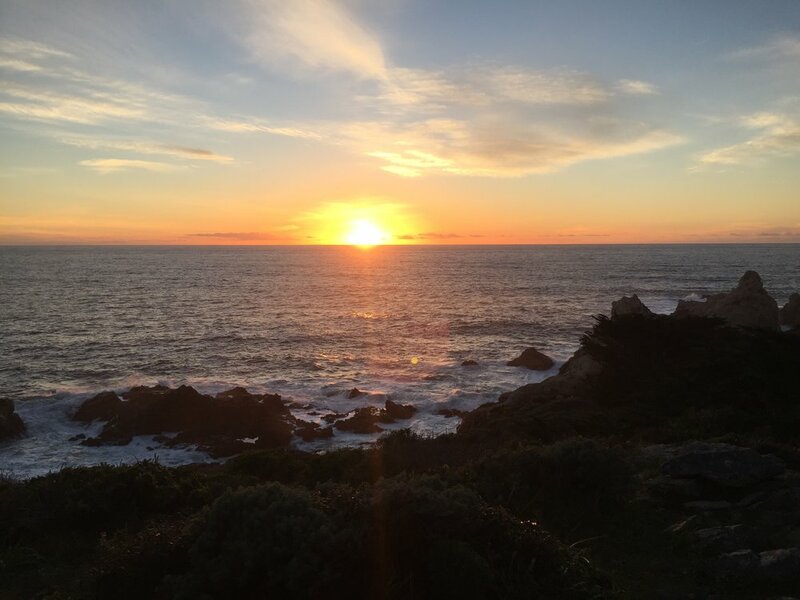 We’ll end the evening with a walk along the Pacific Grove coastline where Steinbeck lived and worked during the years of his greatest works, and where you’ll experience the first in a week of spectacular sunsets. Cannery Row in Monterey in California is a poem, a stink, a grating noise, a quality of light, a tone, a habit, a nostalgia, a dream. Cannery Row is the gathered and scattered, tin and iron and rust and splintered wood, chipped pavement and weedy lots and junk heaps, sardine canneries of corrugated iron, honky tonks, restaurants, and whore houses, and little crowded groceries, and laboratories and flophouses. After breakfast we’ll get right into exploring Cannery Row, as well as Cannery Row. First, Cannery Row the book, Steinbeck’s popular 1945 novel that put the spirit of his great friend Ed Ricketts at its center. We’ll explore the book, the local history, and the famous Steinbeck/Ricketts philosophy that is at the novel’s core. Then we’ll step out the door and into the real Cannery Row, beginning with a tour of Ricketts’ lab, the setting for much of the book and one of the most unique literary landmarks to be found anywhere. You’ll sit in the same rooms where Steinbeck and Ricketts and Henry Miller and Louis Armstrong and Joseph Campbell and many others have gathered over the years in this odd little combination of literary salon and biological supply house perched on the edge of Monterey Bay. From the lab we’ll explore the rest of Cannery Row, including the vacant lot, the Wing Chong Market, La Ida Café, and the site of the Palace Flophouse and Grill. 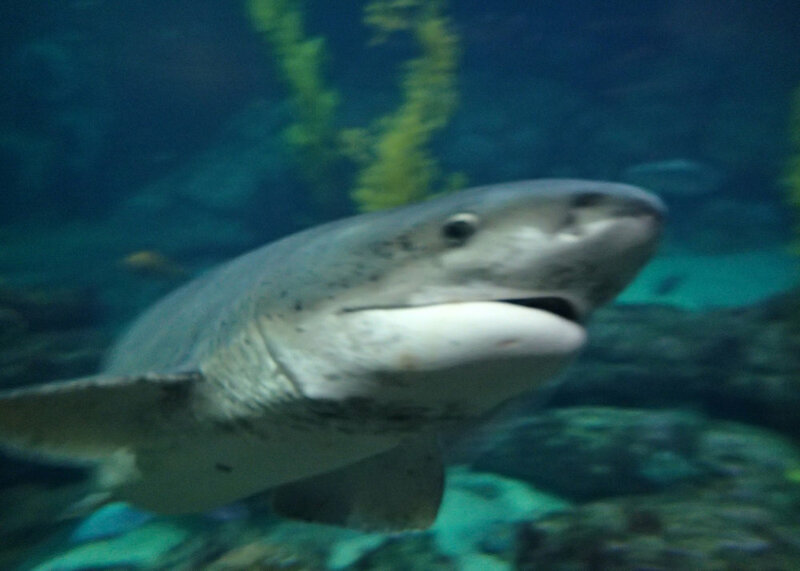 We’ll round out the Cannery Row experience with a visit to the award-winning Monterey Bay Aquarium, which sits on the site of the old Hovden Cannery and which features its own Steinbeck/Ricketts exhibit. You’ll have time to explore the 322,000 square foot aquarium on your own before we gather for dinner at The Sardine Factory, the legendary Cannery Row restaurant made famous in Clint Eastwood’s Play Misty for Me. You know that I have never been touchy about changes, but I have too many thousands of hours on this book, every incident has been too carefully chosen and its weight judged and fitted. The balance is there. One other thing- I am not writing a satisfying story. I’ve done my damndest to rip a reader’s nerves to rags. I don’t want him satisfied. After having spent our first day on Cannery Row in the towns of Monterey and Pacific Grove that were so important to Steinbeck’s work, today we’ll head out early to discover some of the natural wonders of Steinbeck Country. Point Lobos was so meaningful to Steinbeck that his family chose it as the site of his memorial service back in 1968, and we’ll spend the morning hiking through this state reserve that has been called “the greatest meeting of land and water in the world.” You’ll see otters and sea lions in their natural environment along the shore, and you’ll encounter black-tailed mule deer and brush rabbits and sometimes even a bobcat or gray fox. Following the morning of hiking the spectacular trails of Pt. Lobos, we’ll head to Monterey’s Fisherman’s Wharf for a relaxing lunch overlooking Monterey Harbor. After lunch you’ll have the option of riding or walking along the Recreation Trail back to the hotel. Any discussion of Steinbeck’s work has to center around his 1939 masterpiece, The Grapes of Wrath, and that’s where we’ll begin the afternoon’s book talk. Steinbeck took seriously the working conditions and experiences of the agricultural workers all over California, particularly in his own Salinas Valley and the great Central Valley further inland. He felt a particular sympathy and affection for the “Okies” – displaced agrarians from Oklahoma, Texas, Arkansas, and Kansas. After writing a series of newspaper articles that were collected as The Harvest Gypsies, Steinbeck struggled to find the vehicle to tell their story and to vent his own anger. After several false starts he found his voice and his vehicle in the Joad family, and he wrote his 600-page masterpiece in one 150-day marathon. His first draft was so good that it became the book, and the book became one of America’s greatest works of art. Published in 1939 to great controversy, The Grapes of Wrath has never been out of print, has never lost its relevancy, and has never failed to sell at least 100,000 copies per year. This day of scenic views continues with dinner down the Big Sur coastline on historic Highway 1. We’ll time our drive for a perfect view of the sunset before settling in at Rocky Point Restaurant, perched cliff-side overlooking the Pacific and offering spectacular panoramic views. And it is strange that most of the feeling we call religious, most of the mystical outcrying that is one of the most prized and used and desired reactions of our species, is really the understanding and the attempt to say that man is related to the whole thing, related inextricably to all reality, known and unknowable. Steinbeck discussions will continue after breakfast today. We’ll wrap up The Grapes of Wrath, and we’ll talk about other classics such as East of Eden, Of Mice and Men, Tortilla Flat, The Red Pony, and The Sea of Cortez. California’s great agricultural valleys are so prominent in Steinbeck work, particularly in The Grapes of Wrath, East of Eden, and Of Mice and Men, so on this afternoon we’ll venture into the great Salinas Valley, giving everyone the chance to see why it’s called “The Salad Bowl of the World.” In the valley we’ll visit one of Monterey County’s outstanding wineries to tour and to taste, and to relax and take in the scenery offered by the valley and the foothills of its two opposing mountain ranges, the Gabilans and the Santa Lucias. On the way back to Monterey, we’ll stop for dinner at Tarpy’s Roadhouse on the Monterey-Salinas Highway for another outstanding dinner in a stunning setting. Strange how I keep the tone of Salinas in my head like a remembered symphony. Between today’s discussions, we’ll make our way into Steinbeck’s hometown of Salinas, at the northern tip of the Salinas Valley. We’ll start with a visit to the author’s grave in the Garden of Memories cemetery. Here you’ll also see the graves of the Hamilton’s, Steinbeck’s maternal relatives that people the pages of East of Eden, as well as others who were featured in Steinbeck’s work. From the cemetery we’ll move to the National Steinbeck Center in Old Town Salinas. Everyone will have ample time to tour this award-winning museum dedicated to Steinbeck’s life and works, and everyone will get the chance to see Rocinante, Steinbeck’s truck and camper from Travels with Charley. There will also be time for the bookstore and gift shop, and we’ll end with a visit to the archives to see Steinbeck manuscripts, letters, and personal items. From the Steinbeck Center it’s a short, two-block walk to lunch at the Steinbeck House. 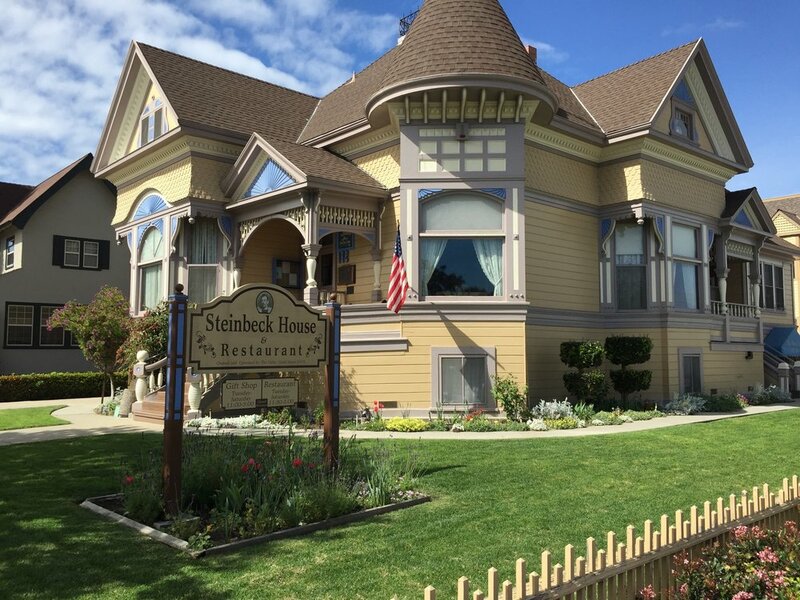 This beautiful Queen Anne-style, Victorian house is where Steinbeck was born and where he lived until leaving for Stanford University when he was 17. It’s also where he wrote The Red Pony and parts of Tortilla Flat. While in the house you’ll have an outstanding lunch featuring the bounty of Salinas Valley farms and ranches, and you’ll have the chance to view Steinbeck family photos, letters, and other memorabilia. We’ll take the scenic route back to Monterey after lunch, and Clay will lead more discussions of Steinbeck’s work before dinner. I drove up to Fremont’s Peak, the highest point for many miles around. I climbed the last spiky rocks to the top . . . 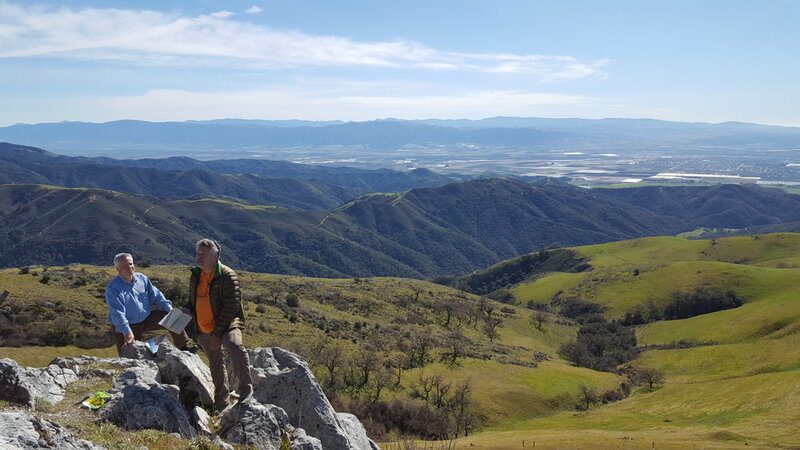 This solitary stone peak overlooks the whole of my childhood and youth, the great Salinas Valley stretching south for nearly a hundred miles, the town of Salinas where I was born now spreading like crab grass towards the foothills. Mount Toro, on the brother range to the west, was a rounded benign mountain, and to the north, Monterey Bay shown like a blue platter. This morning’s discussion will delve more deeply into Travels with Charley, Steinbeck’s popular account of his 1960 trip around the United Stated with his poodle Charley. Clay will share the story of how he got dragged into a small controversy about the book back in 2011, as well as the important role that North Dakota played in Steinbeck’s travels. Later we’ll grab a packed lunch and head up to Fremont’s Peak. Like Steinbeck we’ll “climb the last spiky rocks to the top.” Here you’ll have the greatest of all views of Steinbeck Country, and fittingly, we will finish our discussions of Steinbeck’s work at the very spot where the author himself looked down on Steinbeck Country for the last time. From Fremont’s Peak we’ll return in time for everyone to prepare for our farewell dinner and celebration at the fabulous Fandango Restaurant in downtown Pacific Grove. I truly do not care about a book once it is finished. Any money or fame that results has no connection in my feeling with the book. The book dies a real death for me when I write the last word. I have a little sorrow and then go on to a new book which is alive. The rows of my books on the shelf are to me like very well embalmed corpses. This morning’s breakfast gives us time for one last meal together and one last chance to say our goodbyes. Immediately after breakfast, everyone will be transported back to Monterey International Airport. Safe travels. Your retreat begins and ends at Monterey International Airport. Your package includes pickup and transportation from and back to the airport (airfare is not included). Also included: a professional tour director; interpretations by nationally-acclaimed humanities scholar Clay S. Jenkinson; all activities; speakers; lodging; meals (except lunch on Day 3); transportation throughout your tour; museum, state and national park fees; journals; gifts; hotel baggage handling; state and local taxes; hotel and restaurant gratuities. A $400 non-refundable deposit will secure your reservation. Please read our Terms and Conditions enclosed. Price is per-person based on double occupancy. Traveling single? No problem. We can easily match you with a roommate. Please inquire about our single supplemental fee if you would prefer a room of your own.